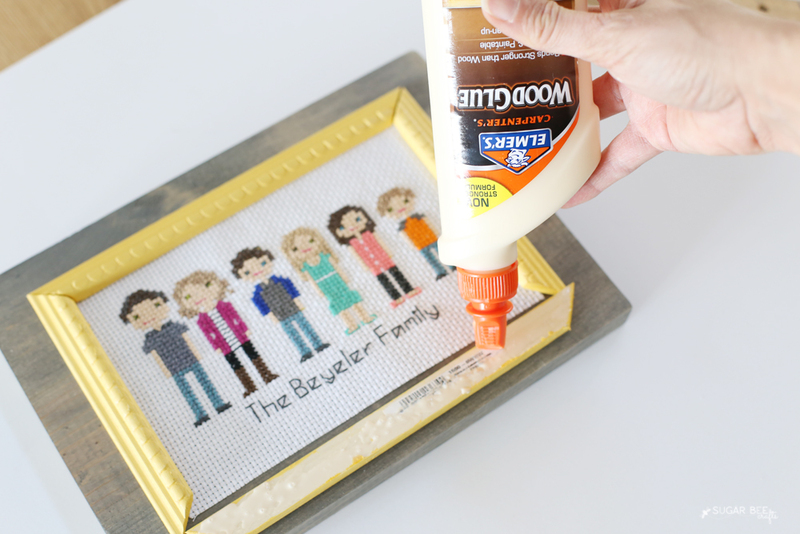 You may remember that I got hooked on these fun Stitch People cross-stitch projects this summer. I love them! 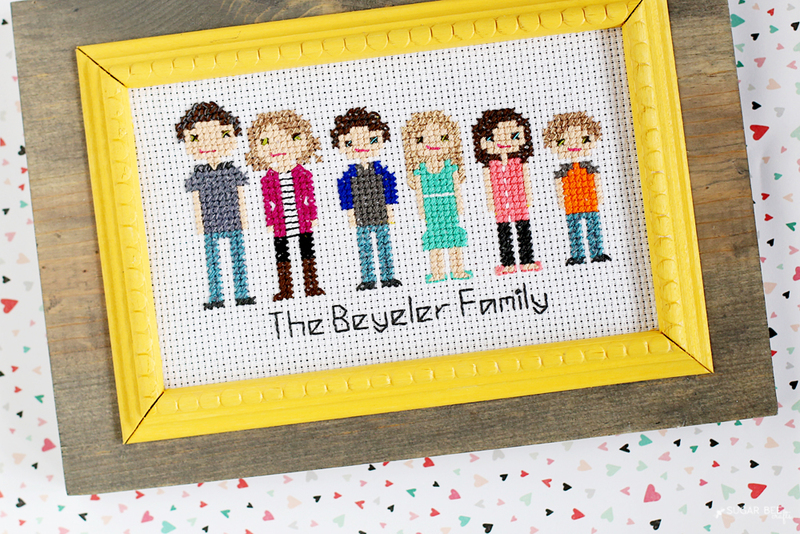 I finally made one for my own family (after practicing on gifts, ha! 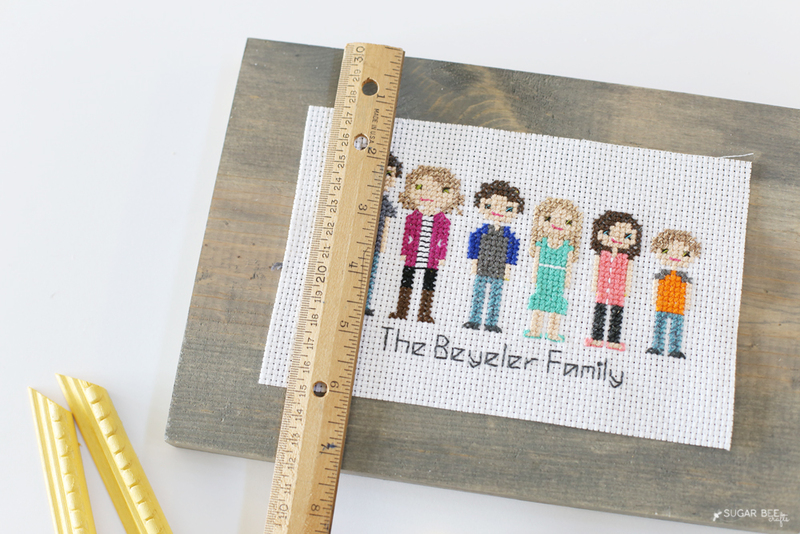 ), but since our family has 6 people, it’s much more of a rectangle than the other one I framed. 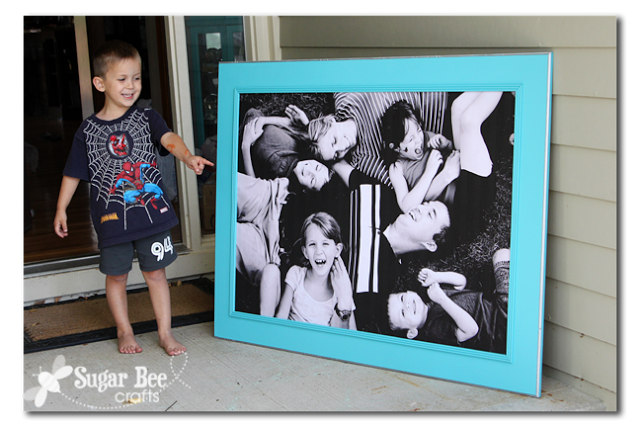 It was hard to find a frame that shape, when I realized, I should just make one! 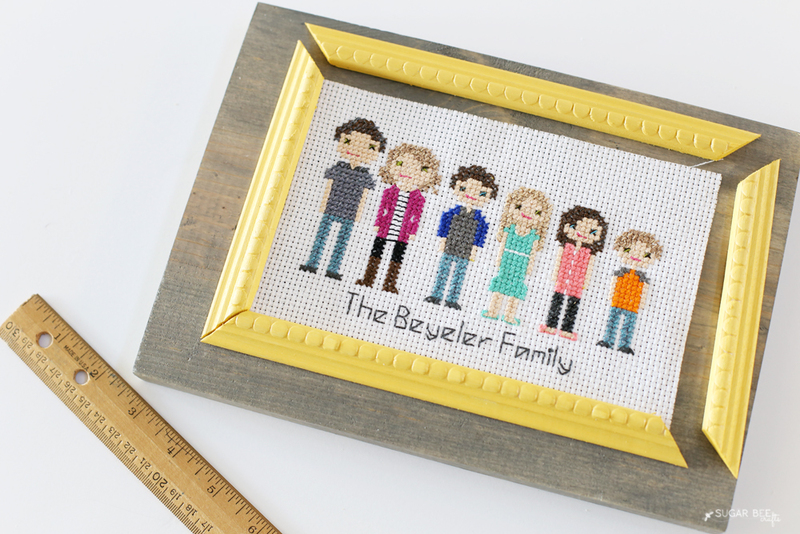 And so this Simple Custom Frame was created – it’s perfect for those custom needlework projects like cross stitch and embroidery, that aren’t necessarily made to the specifications of standard frames. So cute, right?! 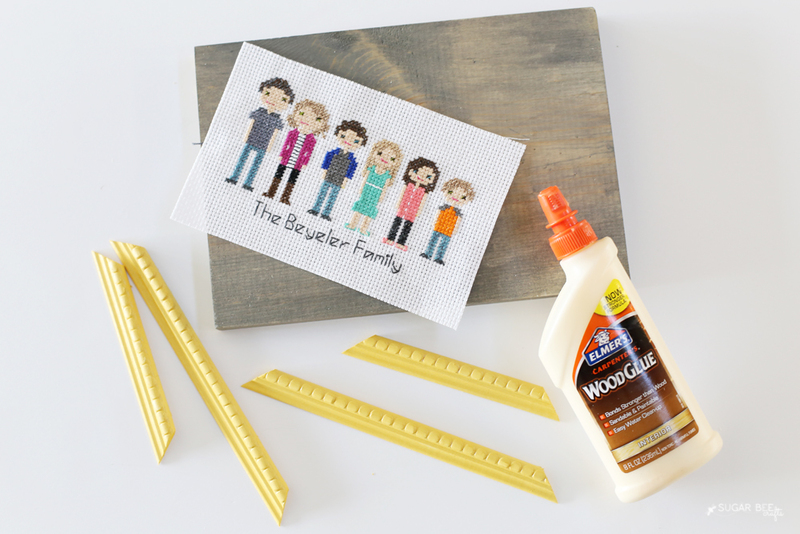 I attached the frame directly to a board, so the board can stand up on it’s own, or hang on the wall, or be using in a plate stand – so many options. This post may contain affiliate links. And I took pics along the way so I could give you a quick tutorial – let’s get started! 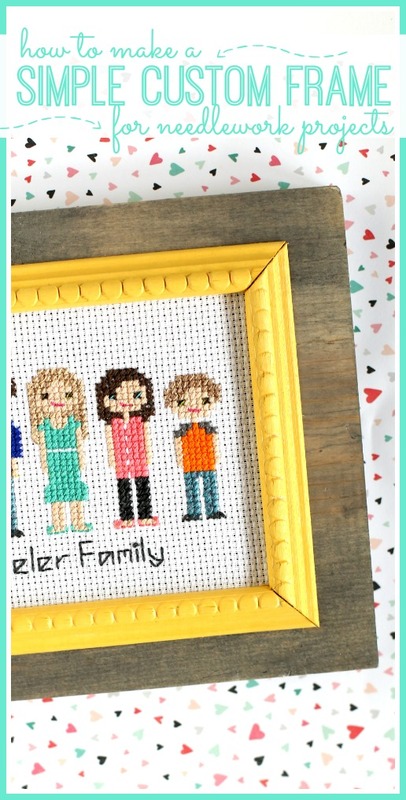 First up, you’ll need your embroidery or cross stitch or whatever you’re framing completely finished. This is a frame where it will permanently live, no switching in and out. Measure what you would like to be framed. You’ll need 2 side pieces, and then top and bottom pieces. Now, once you have everything where you want it, flip over each trim piece and put wood glue on the back, then put it into it’s spot. The trim will cover the needlework and hold it in place on the board. Let dry according to bottle instructions (I let mine dry overnight). 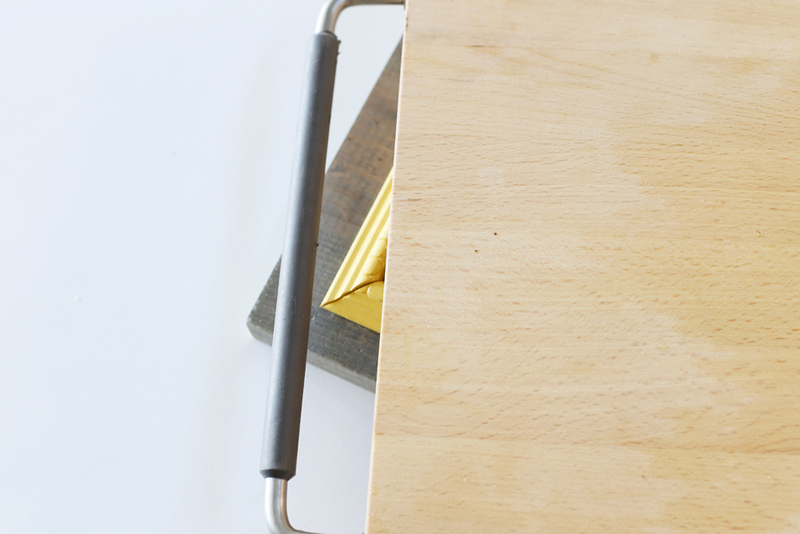 Normally you’ll clamp together your project, but since that’s not possible with this type of frame, you’ll want to push down on the top of it. So I put a cutting board right on the top, and then stacked some heavy books on top of the cutting board. That way it pushes the wood together where it’s being glued. 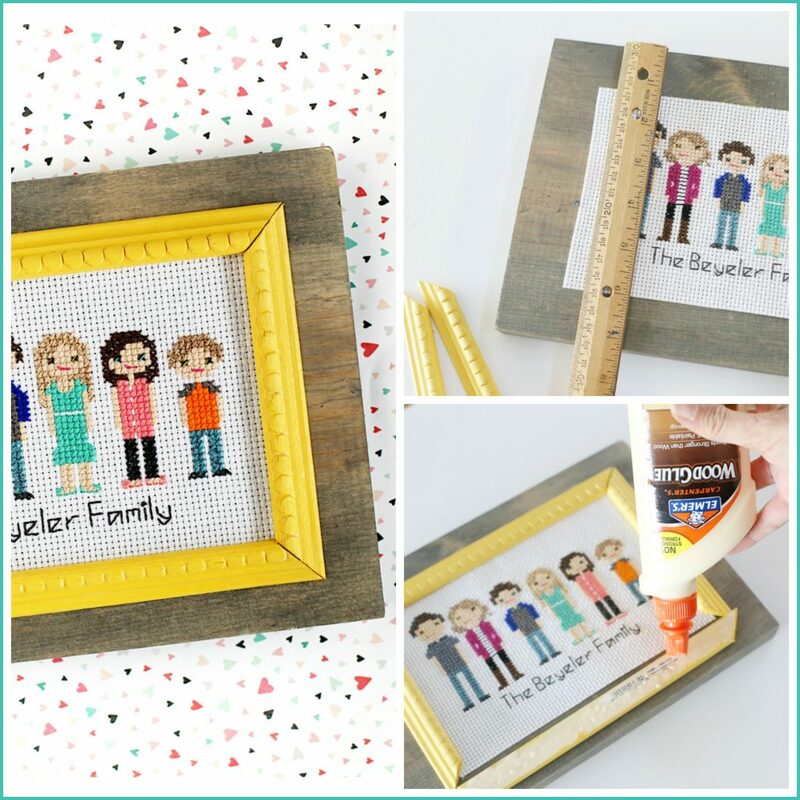 Enjoy making your own Simple Custom Frame!! 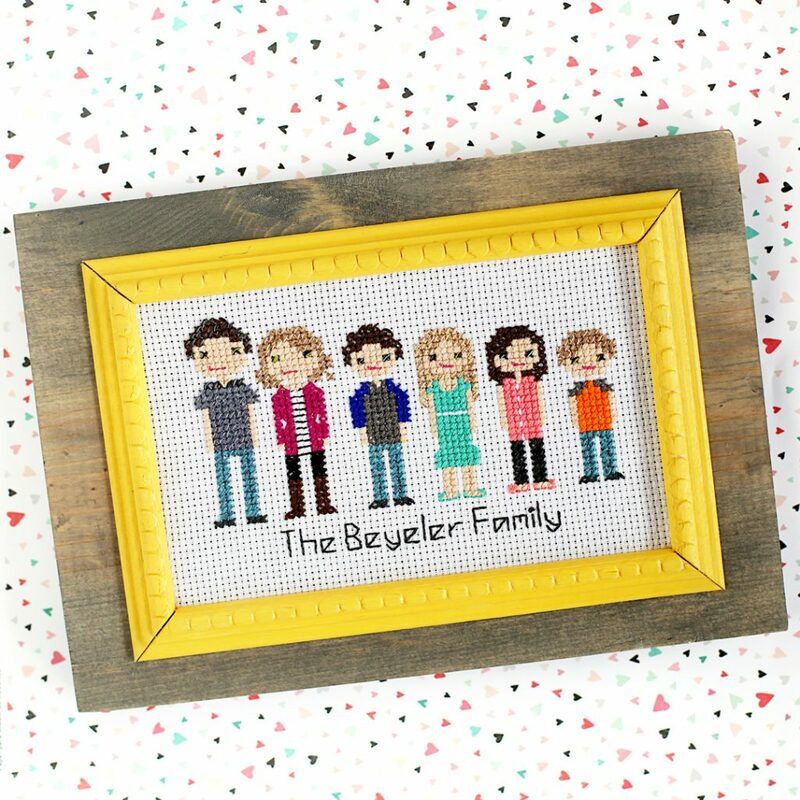 the cross stitch family? I just love it and would like to make for my son! 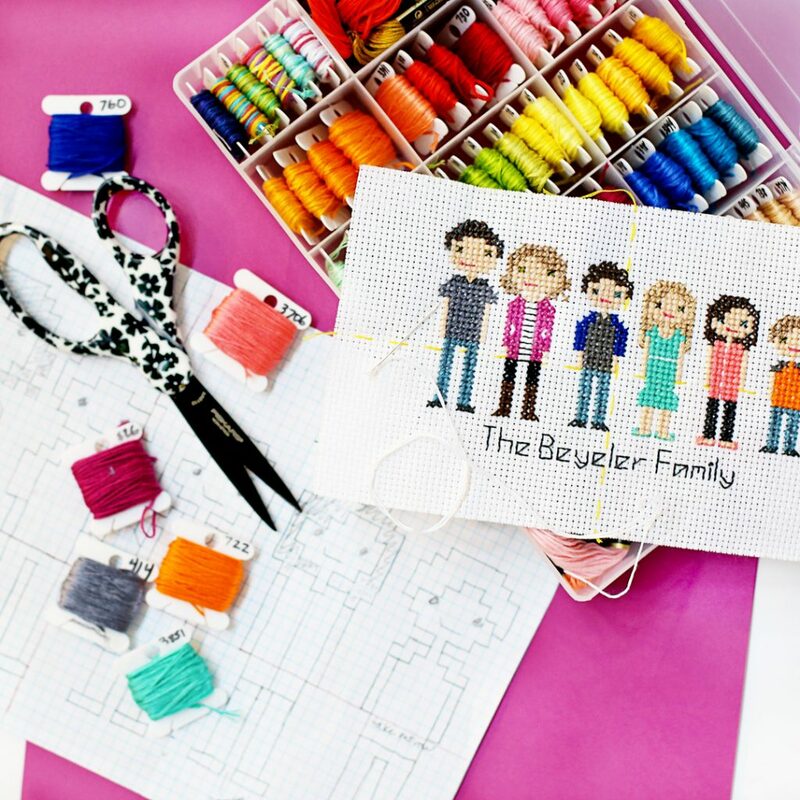 I have a pattern book from Stitch People, that’s what i used – hope that helps!